Why don’t we hear more preaching about sin? Well, as I look back over my blog ‘hits’, I think I have answered my own question. You see, my blog hits went from 70 down to 2 yesterday for the subject of sin. I think I am onto something here. I don’t think sin is a very popular subject. Perhaps it is no longer ‘politically correct’ to tell people they are sinners deserving of Hell and to repent of their evil ways (he said sarcastically). I mean who has the right to do that anyway? Surely I have not reached perfection and I have no right highlighting other people’s sin. Who has the right to preach this message except Jesus himself. And there is the point, would the genuinely anoited preacher who preaches the uncompomised Word of God in power please stand up? Could 2 Tim 4:3-4 be coming true before our very eyes?. So, getting back to the subject, what is sin? If I go out and steal my neighbour’s whipper snipper and punch him in the nose when he tries to stop me I am guilty of a number of sins as defined in the written Word of God. Also, if God is speaking to me about going to visit my neighbour to bless him and I continually and deliberately ignore Him then I am guilty of the sin of disobedience for not obeying the spoken Word of God that is in my heart. Now the former appears a more severe sin than the later but who can judge? Perhaps the later has more severe eternal consequences. Free from what? Sinning ? No! We are not yet perfect. Then, free from what? Free from the power of sin! For the true, born again believer sin no longer has a hold on them/us. Sin is no longer our master! and as disciples of Jesus we are to fully obey Him. 9 are controlled not by the sinful nature but by the Spirit, IF the Spirit of God lives in you. And IF anyone does not have the Spirit of Christ, he does not belong to Christ. 10 But IF Christ is in you, your body is dead because of sin, yet your spirit is alive because of righteousness. 11 And IF the Spirit of him who raised Jesus from the dead is living in you, he who raised Christ from the dead will also give life to your mortal bodies through his Spirit, who lives in you. Father, forgive me for not obeying you fully. Forgive me for not making you my Master fully. You are more important to me than any sin in my life. I believe your Word that sin no longer has a hold on my life. Forgive me of my sin, I don’t want to do that again. May your power fully manifest in my life as I fully submit to you. In Jesus name, Amen. I believe, we need to hear a lot more preaching about sin so that we hear a lot more preaching about the God’s solution to sin. You see, having an understanding of the seriousness and foulness of our sin is basic and essential to having an understanding of the graciousness of the cross and a true and correct understanding of salvation. 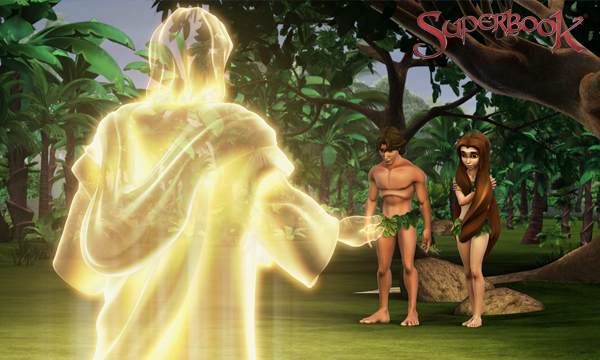 Sin and God’s solution to sin go together. The offensiveness of the cross makes no sense unless we understand the offensiveness of our sin. God hates sin and his anger and wrath are poured out against those who sin. Jesus bore the penalty for OUR sin on that cross! How is anyone going to understand the cross if they don’t understand the foulness and offense of their sin? It is offensive to those who don’t want to hear it (ie: those who are perishing) but very, very sweet to those who accept it. Turning away from the stench of sin and turning towards a Holy and Righteous God.